Today’s Newsletter is the first in a series of articles that will focus on specific industry verticals. Each article will look at certain aspects, opportunities and strategies that may be unique to a market segment, service type and customer base. There are a number of great strategies that our various billers have employed over the years that are cross-industry applicable. 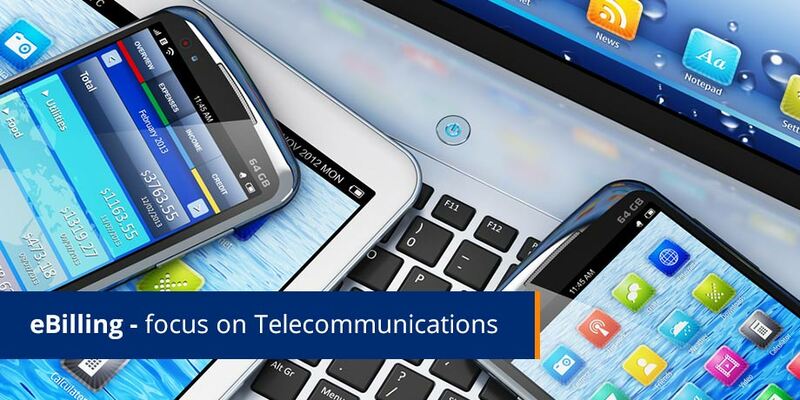 The telecommunications industry is one where we have seen some of the highest electronic bill presentment and payment adoption figures. A very good example is a large multi-national satellite television service provider who has, in less than 36 months, exceeded 40% eBilling adoption; over 20% paper turned off and has 70% of its total consumer base paying electronically. It only offers secure eBilling and does not have an EBPP website. Capture the consumer’s email address at every touch point, especially new customers upon service activation. Automate an introductory email and begin sending the secure eBill. Upon auditable notification that the email bill is being used, automatically turn off the paper bill. (Give the consumer the option to turn it back on at any stage with just one click). This first strategy results in the highest adoption & paper suppression possible. One of our largest mobile phone billers recently undertook a simple ‘call to action’ text message campaign requiring customers to reply with their email address in order to sign up for secure eBilling. The response rate to date is a staggering 20%! An adoption strategy which is rapidly gaining momentum involves what is being referred to as split-billing; the biller sends a cost-effective one page simple summary bill (paper) and offers comprehensive call-detail via email, thus achieving very real cost savings and satisfying stricter regulatory requirements that are prevalent in some geographies. Once specific permission is obtained from the consumer, paper is turned off altogether (this usually occurs shortly after the consumers sees the added convenience of receiving and paying the bill directly from their inbox). The attached email bill is highly compressed. (Almost all email bills are less than 120KB in size). The ‘shared secret’ challenge can be two-fold, enabling a very high level of security. (For example, the last 6 digits of the customer’s telephone number combined with the last 4 digits of their social security number). Authentication is offline. The recipient does not need to be connected to the Internet to view their bills. The offline bill is opened in a browser, thereby eliminating any dependency on the type of email client. (The technology works across all browsers). Multiple file types can be packaged within the HTML view, including a data file for easy accounts receivable (AR) system upload, as well as a PDF version for perfect printing. The HTML nature of the opened email bill allows for full ‘mini offline website’ functionality including landing / summary pages, customer service forms, call rate / plan calculators, full itemized call detail, sorting & categorization, bill stuffers, personalized offers & regulatory information. Striata BillPay allows for ultra-secure one click ACH, debit & credit card payment, directly from within the email bill. The secure eBill attachment remains encrypted, even once saved onto the local computer, thus ensuring continued security of personal data. And most importantly, personal data security is significantly better than a publicly accessible SSL protected website. (Secure eBilling is fundamentally two factor authentication and encryption is a minimum of 168 bit 3DES). The consumer therefore receives a secure digital replica of their paper bill (this familiarity is very important), the ability to pay it with just one click and all without the need to register or visit a website. Due to the ‘push’ nature of this type of billing, and the fact that it is electronic, the biller is able to effect incredibly cost-effective and highly personalized marketing within the secure eBill. Marketing / advertising messages can be personalized according to any psychographic & demographic data that the biller has, and place the specific message strategically within and alongside the billing detail. Experience has shown us that such marketing messages are a fraction of the cost of paper bill stuffers and considerably more effective. The digital bill also provides complete consumer behavior transparency; a biller is able to determine exactly which offers were clicked on, when, and by which customers. In contrast to secure “push” email billing, one of the unfortunate limitations of presenting bills on a website (pull) is that billers effectively lose their direct marketing capability. In many instances, the paper bill is the only customer touch point that a Telco has. In the case of ‘push’ email billing, your marketing efforts are more cost effective and have higher take-up rates, whilst still achieving the required ‘digital’ communication status. Secure eBilling is designed as the first step to full internet self service. The email serves to present the current bill and take payment, without the need to pre-register. Once these fundamental steps are taken care of and the paper bill is suppressed, billers are encouraged to incentivize & invite customers to make use of their website based self service portal for additional customer service; such as copies of previous months’ bills, new packages & services etc. It is important to note by the low adoption rates experienced to date (and almost non existent paper suppression), that trying to drive consumers directly online is too big a step for the average consumer. Striata has more than seven years experience working Internationally with many different companies in this sector, including; cellular, fixed line, cable, data, internet and satellite television providers.